As a result of bills passed into law by Governor Jerry Brown and enacted last year, California employees who report wrongdoing by their employers or fellow employees are now more protected from retaliatory actions by their employers. California has had a strong whistleblower protection law since 1984 when California Labor Code section 1102.5 was initially enacted, and the revised code now expands what type of whistleblowing activities are protected. Previously, section 1102.5 protected employees when they reported wrongdoing occurring inside a company to government authorities such as a regulatory agency like the Securities and Exchange Commission or the Environmental Protection Agency. Thus, if an employee called a representative at the EPA to report that his company was flouting federal environmental regulations, the employer could not use this communication as a reason to fire the employee. Under the new section 1102.5, an employee is also protected from reporting wrongdoing through internal channels within the company. For example, if the same employee reported to the Chief Compliance Officer of his company that his supervisor had asked him to break environmental laws, the company could not fire or otherwise penalize the employee as a result. The new protections under section 1102.5 also expand the definition of illegal activity that a whistleblower is protected in reporting to include not just federal and state rules and regulations but also local regulations as well. Therefore, an employee who believes his or her employer is violating local ordinances, for example an apartment manager who believes her landlord employer is violating city rules on fair housing, will also be protected in reporting the suspected wrongdoing both internally and to local, state, or federal authorities. Employees are now also protected from “anticipatory retaliation,” meaning a company cannot avoid the whistleblower laws by firing an employee before any reporting occurs. Previously there had to be actual reporting of the wrongdoing for an employee to be protected. This created a perverse incentive on the part of an employer to simply fire any employee who might have been witness to company violations before the employee had the chance or made the decision to report the violations. Now, the statute protects any employee whom the company believes “may disclose information.” While proving that a company fired an employee for this reason may be difficult, this provision nevertheless provides greatly increased protection for employees. 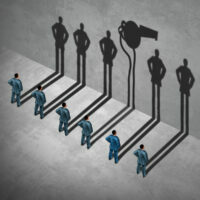 Under section 1102.5, employers will face penalties of up to $10,000 per violation of the whistleblower protection rules. As a result of these new changes in the law, employees should feel more secure in taking the steps to disclose potential violations by an employer, and employers should be more vigilant in creating robust compliance programs to allow for reporting of internal wrongdoing.